At last, the sun seems to be shining and the temperature is rising. We’re starting to reorganise our wardrobes to bring our spring and summer clothes to the front, and we’re banishing our winter boots, hats and scarves to the depths of the attic. When we get to this point of the year, it’s common to hear people discussing whether their central heating is still on, and how they want to save money during the spring and summer in case the next winter is just as cold. The first step to a cheap gas bill is to think carefully about whether you’ll need to use your central heating throughout the spring and summer. You may still get a bit chilly in the evening, but consider whether a jumper, shrug or even a blanket could work better to warm you up. It really is worthwhile setting a programme for your central heating if you feel that you do need to use it during the warmer months for medical needs - try and set the heating to come on when you are actually in the home or you’ll be paying to heat up an empty house! If your gas boiler is also used for your hot water supply, you could set a timer to make sure that you are only heating your water during practical hours, such as when you are due to get a shower in the morning or when you are doing the washing up in the evening. You don’t want to throw away money where it isn’t needed, meaning that you could save a few pounds by implementing this simple process. A slightly different way to reduce your gas usage is to change your diet this spring and summer. 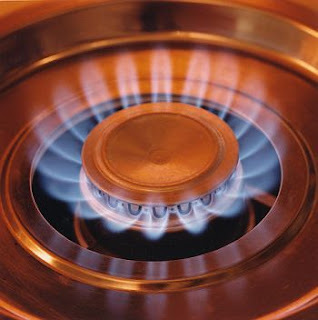 If you have a gas hob or oven, you could find alternative meals that don’t require cooking in this way. For example, the summer is an ideal time to eat lots of fresh fruit and vegetables, making salads a great choice. If you’re looking to make these slightly more exciting, think about adding canned food such as tuna or pre-cooked prawns. Another way us Brits like to cook in the summer is using a charcoal barbecue, so it might be time for you to uncover yours for the season. Finally, review your usage every month and see whether you can find a better deal with an alternative provider. Start your search on a price comparison website and follow up by speaking to the energy companies directly. John Parker is a blogger interested in going green, as well as the money saving benefits from doing so. This year he has been working on how to get a cheap gas bill during off-peak seasons.